Launching a business and making it a brand are two different ball games. You need to have strong marketing strategies in place to transform your business into a brand. The process of establishing yourself as a brand can take time but the first step towards achieving it lies in delivering brand value. Before forming an association, every potential customer inquiries about your brand reputation over the internet. If the offered brand value is not up to the customer’s expectation, the repercussion of the same directly affects the ratings and feedback of your brand. In addition to the product/services your brand offers, your brand value is also determined by how prompt is your customer service strategy and how easy is it to contact your business for any assistance. Thus, every business must have a business phone number which is easy to remember for the customers and is also readily accessible in need. Vanity toll-free numbers cater to both the objectives precisely. 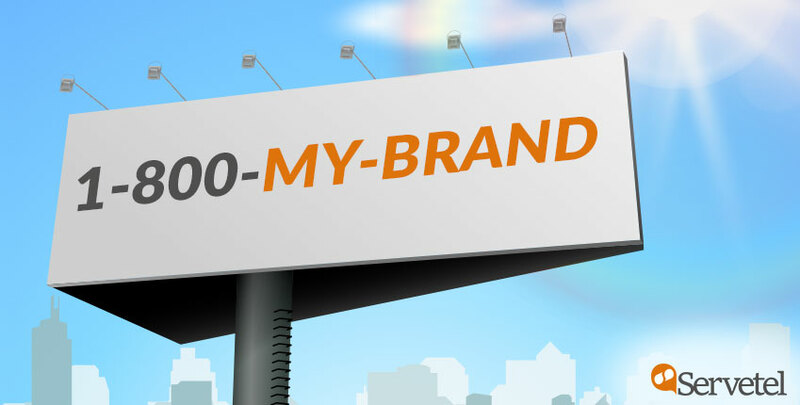 Vanity numbers can easily help you in brand building. These numbers attract customer’s attention and make them easier to memorise. The selling factor of vanity numbers is the inculcation of the brand name or the service in the number itself. For instance, 800-Virus-No is a vanity toll-free number of McAfee. The number is suggestive of the brand’s purpose and is also easy to memorise. Vanity numbers help you gain brand recognition. It makes your brand look professional as the number is indicative of what your brand delivers and your authenticity towards achieving it. Also, it shows you’re a reliable brand who is considerate of customer needs. This helps in establishing goodwill and brand value among customers. Thus, you should opt for a simple and non-complex vanity number and ensure these numbers displays your business services. Showing your services in the number helps you capture the audience’s attention in the first go. With an abundance of information circling around us, our mind’s retaining capacity has experienced a steep decline. Remembering every detail of the information given to us becomes a challenge. Having a vanity number helps to overcome this challenge. Choosing a number which has relatable information makes it easy for the customers to memorise the number and make a call when needed. Putting your vanity number on vehicles, loyalty cards, etc. make it easy for people to read. Whenever someone visits you, advertised vanity number will gain their attention. And the number along with the service will stick to their mind for a long time. So make sure you go for a vanity number that clearly describes your services. Having a good vanity number and promoting it at all right places makes it a strong marketing tool. This increases your brand reach and helps you attract more leads. 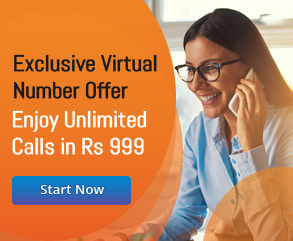 One of the promising factors which give toll-free numbers edge in comparison to other numbers is the flexibility of calling the business for free. 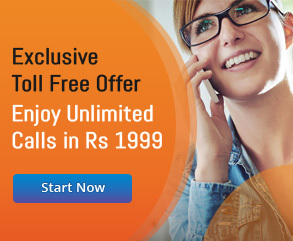 In the case of toll-free numbers, the expense of the call is billed to the owner of the number i.e., business. In addition to making the number easier to remember, vanity toll-free numbers also ensure that customers do not have to pay for the calls. This makes vanity numbers a favourable option for brand building. Firstly, anyone can easily get in touch with you by using the vanity number. The calls are directed to your business number and in case of unavailability to your personal number. No matter from which corner of the country the customer is calling, you can respond to them instantly. This makes your business flexible as you don’t have to worry about your clients who are far away. Vanity numbers will make your business much flexible. In comparison to websites, social media platforms, etc., a vanity number is the best platform for lead conversion. Vanity numbers help you directly connect with your customers. And every brand wants to have as many clients as possible, and conversing with them is the best way to persuade. Vanity numbers also yield a high return on investment. With more people contacting you through vanity number, there will be more growth in your brand. Vanity numbers are best to make your audience know that you are working in their best interest. If any customer comes around your website/services, he will always seek for help in case of query or issues regarding your services. Your customers will know that you’re here not only to earn profits but to provide them with the best services. Vanity numbers are in every way best for your brand. They reach your target customer and convert them into a long time client. So, if you’re looking to build your brand, go for vanity numbers. Are you still confused? Let us help you with your questions.